I had only been at this church for a few months. We did not have a church musician so we were being creative about including music into the service. I had decided to use a video of one of my favorite worship songs, Hezekiah Walker’s ‘I Need You to Survive.’ To start, expecting people to sing along to a seven minute gospel song was in itself quite the stretch. But then when I asked them to hold hands I had pushed too far. Instead of feeling genuinely connected to one another, we all felt stuck. Funny thing is, later in this ministry this song became an important anthem; the choir even sang it my last Sunday serving there. However, my blunder the first time I introduced the song went beyond the length or style of the music. I had tried to generate a connection that was not there yet. As we journeyed together, as we cried together at funerals and rejoiced at new births, we grew deeper in our connections to one another. We shared meals, and got to know one another through stories. By that last Sunday we had survived countless crisis together – we truly did matter to one another. No longer was it a forced joining of hands, but our hearts had united together. It was indeed the practice of praying for one another that connected us in the good and the bad. Our denomination is in the midst of a difficult season. Many faithful members are stressed and concerned about the future of our denomination. It is easy to slip into speculation, and disillusionment, which leads to a loss of hope. 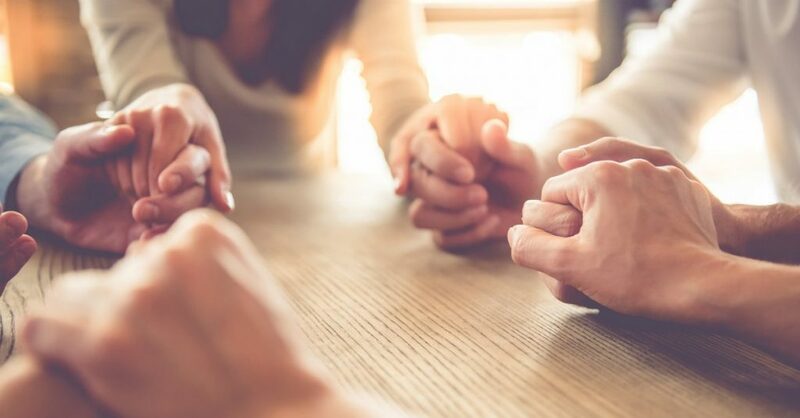 I am asking all the people of Greater New Jersey to consider a commitment to prayer for one another as we approach the special-called session of General Conference to be held February 23-26, 2019 in St. Louis. You are invited – clergy, laity, small groups and congregations across Greater New Jersey, to pray for God’s guidance for 4 minutes each day. Bishop Wallace-Padgett who is leading this prayer movement shared what is at the heart of this call to prayer: “Our prayer focus is two-fold: We are praying that God will help us to fulfill the mission of the church, and we are praying to be one in Christ.” In prayer we will be humbly set aside our personal concerns and ask that the Holy Spirit direct our denomination. If you wish to join in the denominational call to prayer, you may do so by visiting umcprays.org. This resource offers daily reflections, materials for local churches as well as an invitation to participate in a weekly Wesleyan fast. The Upper Room has been intentional to assure that contributors put aside their own perspectives in order for safe space where all can fully and honestly pray. In addition, we the people of Greater New Jersey will be coming together to pray intentionally for 40 days before General Conference. Please join us in this act of love for one another by registering for daily prayer here. Our prayers are an act of love; they allow us to connect beyond our personal understandings and perspectives. May our prayers offer us a place of peace while we wait.